Written by CEMB on March 27, 2018 . Posted in Press Releases. The scientist and author Richard Dawkins is giving away translations of The God Delusion in countries under Islamic rule like Saudi Arabia, Iran and Pakistan. The reason behind the decision is the thirst for atheism in such countries. Whilst 3.3 million copies of the bestseller have been sold since 2006, the unofficial Arabic pdf alone has been downloaded 13 million times. The rise of atheism in the Middle East, North Africa and South Asia is something we have been speaking about for some time now. The Iranian Baztab Now website warned of a tsunami of atheism amongst Iranian youth. The #ExMuslimBecause hashtag initiated by the Council of Ex-Muslims of Britain became viral overnight with over 120,000 Tweets from 65 countries. The hashtag “#Aik crore Pakistani mulhid” (10 million Pakistani atheists) trended around Darwin Day for two years running. Free Mind, launched by Arab atheists promoting atheism, has recorded more than 1 million visits so far. The now highly visible and vocal ex-Muslim movement (a new Council has just been established in Jordan), the access to atheism and freethought via social media, the deep-seated opposition to theocratic rule that comes from lived experience, the irrationality of religious doctrine, the authoritarianism of religious rule, scepticism about prophets and contradictory tenets, the unrelenting violence, amongst others, make atheism increasingly enticing for a mostly young population. Remove Islamism’s threats and apostasy and blasphemy laws from people’s lives and even we ex-Muslims will be stunned at the extent of atheism in countries under Islamic rule. The powers that be have understood the “threat” atheism poses – seeing it as an existential danger, especially since Islam and state power are intertwined, hence why atheists are persecuted (with many others including religious minorities, women’s rights activists, labour leaders and LGBT). • Iran as one of the most important bases of atheism in the Middle East, with more than half the population using the Internet regularly, has seen a government ban on more than 160,000 social media accounts and websites for spreading “atheism and corruption” in one year alone. 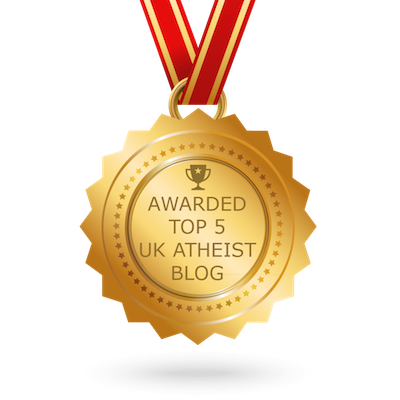 • Two government ministries in Egypt have been ordered to produce a national plan to “confront and eliminate” atheism. The Egyptian parliament is looking to criminalise atheism. Recently, Mohammed Hashem was told to see a psychiatrist and kicked off a television show for not believing in God. A mother has even lost custody of her children because she is an atheist. • In Pakistan, a High Court Judge has reiterated that “blasphemers are terrorists” in a case that seeks to ban “derogatory” social media posts against Islam and Muhammad, Islam’s prophet. The Islamabad High Court has directed the government to block web pages containing blasphemous content and put the names of “blasphemers” on the exit control list. Thirteen countries punish atheism with the death penalty, all Islamic states, namely Afghanistan, Iran, Malaysia, Maldives, Mauritania, Nigeria, Pakistan, Qatar, Saudi Arabia, Somalia, Sudan, UAE, and Yemen. Clearly, to be an atheist, to question or criticise God, prophets, Islam and any religion or dogma is not a crime though too many are being killed or imprisoned for it. It is high time to stop blaming atheists for their persecution under cover of offence, Islamophobia, hurt sentiments… and instead target the states and movements that are hunting down, imprisoning and murdering people for the mere exercise of their freedom of expression and conscience. Bangladesh: Asad Noor, a 25-year-old atheist blogger is facing up to 14 years in prison because he “hurt religious feelings” with his social media posts “mocking the prophet”. Iran: 20-year-old Sina Dehghan was sentenced to death for “insulting the prophet”. Deghan’s co-defendants, Sahar Eliasi and Mohammad Nouri, have also been convicted of posting anti-Islamic content on social media. Nouri was sentenced to death; Eliasi has been sentenced to three years in prison upon appeal. Soheil Arabi was initially sentenced to death for “insulting the prophet” is on hunger strike and in critical condition. Ruhollah Tavana and Saeed Malekpour have also been sentenced to death for “insulting the Prophet” and “insulting and desecrating Islam” respectively. Saudi Arabia: Ahmad Al-Shamri, in his 20s, has been sentenced to death for atheism and blasphemy; Raif Badawi has been sentenced to 10 years in prison and a thousand lashes for “apostasy” and “insulting Islam”. Poet Ashraf Fayadhhas been sentenced to eight years imprisonment and lashes for poems containing “atheist ideas” reduced from an initial death sentence. The International Conference on Freedom of Conscience and Expression, the largest gathering of ex-Muslims in history, was held during 22-24 July 2017 in London. Over 70 notable speakers from 30 countries or the Diaspora gathered in what was dubbed “The Glastonbury of Freethinkers” and “a Conference of Heroes” to honour dissenters and defend apostasy, blasphemy, and secularism. The sold-out conference highlighted the voices of those on the frontlines of resistance – many of them persecuted and exiled – and included the first London film screening of Deeyah Khan’s film, Islam’s Non Believers, a public art protest of 99 balloons representing those killed or imprisoned for blasphemy and apostasy, a body-painting action, and crucial discussions and debates on Islamophobia and its use by Islamists to impose de facto blasphemy laws, the relation between Islam and Islamism as well as communalism’s threat to universal rights, art as resistance and Laicite as a human rights. The conference hashtag, #IWant2BFree, trended on Twitter during the two days. At the conference, the Council of Ex-Muslims of Britain (CEMB) honoured ten individuals to mark its tenth anniversary, namely Bangladeshi freethinker Bonya Ahmed, Saudi freethinkers Ensaf Haidar and Raif Badawi, Moroccan atheist Zineb El Rhazoui, Philosopher AC Grayling, Centre for Secular Space’s Gita Sahgal and Yasmin Rehman, Algerian Sociologist Marieme Helie Lucas, Jordanian Atheists’ Founder Mohammad AlKhadra, Egyptian Atheist Founder of The Black Ducks Ismail Mohamed and Author and Scientist Richard Dawkins. The conference issued resolutions against the no-platforming of Richard Dawkins by KPFA radio station, in defence of Ismail Mohamed who was prevented from leaving Egypt to speak at the conference by the Egyptian government, and on CEMB’s presence in Pride in London as well as a Declaration of Freethinkers (see below). The event was live-streamed, which can be seen here. Professional video footage will be made available soon as well photos and more details of the event. The International Conference on Free Expression and Conscience in London, the largest gathering of ex-Muslims in history, is concerned that Richard Dawkins, an invited speaker at the conference, has been de-platformed by the radio station KPFA in Berkeley, California because of his alleged “hurtful” comments on Islam. Professor Dawkins is a well known critic of all religions, whose long-standing attacks on Christianity have never resulted in anything approaching de-platforming. Indeed he has aired his views on KPFA itself. Belatedly, KPFA seems to have noticed that Islam is not exempt from his criticism. They have applied a hypocritical double standard in cancelling his appearance in Berkeley, and have disappointed the large numbers of people who had bought tickets to hear him. Given that most of the speakers and delegates at our conference are Islam’s apostates, many from countries where the legal penalty for apostasy is death, we find it necessary to remind KPFA that criticism of Islam is no different from criticism of Christianity or Judaism. Also, criticism of Islamism is no different from criticism of the Christian-Right, Jewish-Right or Hindu-Right. Criticism of religious ideas as well as violent religious political movements isn’t bigotry but integral to free conscience and expression and vital for human progress. We call on those – like KPFA – who should be our natural allies and ‘progressives’ whose freedoms and rights are largely the result of the fight against the church and Christianity not to betray or deny the same right to Islam’s critics, non believers, and dissenters. Progressive politics means fighting on many fronts, including against bigotry, xenophobia, the far-Right, which includes Islamism, and for freedom of conscience and expression. The International Conference on Freedom of Conscience and Expression is outraged to learn that the Egyptian government has prevented Ismail Mohamed from speaking at our conference, where he would have been a crucial voice. We demand that the Egyptian government allow Ismail freedom of movement and end his persecution and that of all freethinkers. The Council of ex Muslims of Britain (CEMB) is part of a world-wide movement that supports people who wish to leave Islam and declare themselves ex-Muslim. We use the term ex-Muslim to highlight that the danger of leaving Islam risks death for apostasy. CEMB works to ensure that people are safe from hate and violence from their families, communities and states. CEMB joined Pride in London this year to highlight anti-LGBT persecution as well apostasy and blasphemy laws. 14 Islamic states (15 if ISIS-held territories are included) punish homosexuality with the death penalty. Moreover CEMB aimed to expose Islamist-affiliated mosques, like East London Mosque (ELM), which have given a platform to hate clerics who have justified the murder of gays and apostates. At the International Conference on Freedom of Conscience and Expression, we commit to the defence of LGBT+ Muslims and ex-Muslims. It is imperative to act against homophobia: 15 Islamic states and territories punish homosexuality with death. Vigilantes are encouraged to ‘eliminate gays’ in the words of Ramzan Kadyrov of Chechnya. In Britain, institutions like the East London Mosque have hosted preachers who incite hatred and justify the murder of LGBT and apostates. The LGBT+ movement and worldwide Pride marches have been an enduring source of inspiration. ‘Pride’ shows that human rights can progress by people coming out and challenging prejudice through humour, outrage and politics. It was in this spirit that CEMB, for the first time, joined the 2017 Pride in London march. Pride is one of only events where LGBT+ ex-Muslims and Muslims can safely articulate their criticism, especially when their daily experiences are intrinsically linked with fear, violence and intimidation. Death threats are all too common. Nor do we need lessons in racism or anti-Muslim hatred, we experience these too. Our presence was widely welcomed and the courage of gay ex-Muslims affirmed with love and support. For old campaigners and new, the experience of the march was life changing. CEMB’s work is founded on universal human rights: the right to freedom of religion or belief and the right to free expression. Laws against homosexuality, blasphemy and apostasy and the terror associated with them are grave violations of human rights. Human rights do not advance unless perpetrators are named. Defending human rights: the right to life, the right to love and the right to free speech do not incite hatred. They constitute opposition to the politics of hate and fear. Islamists use accusations of ‘Islamophobia’ to deceptively conflate criticism of a set of beliefs (Islam) and the religious-right (Islamism) with bigotry against a group of people (Muslims) in order to silence dissent. But we will not be silenced. We will continue to fight on several fronts: against racism and anti-Muslim hate and homophobia, for the rights of migrants and refugees, while simultaneously defending the right to apostasy and blasphemy. If Pride in London is indeed a movement of ‘acceptance, diversity and unity’, it should vigorously oppose all laws which criminalise homosexuality, apostasy and blasphemy. Pride in London has a historic opportunity to render fundamentalist intimidation and bullying ineffective and make a stand that demonstrates that human rights trump religious hatred. 3) Affirm CEMB’s continued presence at Pride in London to show that they side with dissenters and those defending the right to think, live and love as they choose. Freethinkers stand for the advent of a world in which human beings shall enjoy freedom of expression and belief and freedom from fear and want. We believe in the universality and indivisibility of human rights. These rights flow from human reason and conscience. Without the free exercise of conscience and expression, all other rights are nullified. Thirteen Islamic states and territories punish apostasy and blasphemy with death. Many freethinkers spend years on death row, or are lashed simply for the views that they hold. Apostates and freethinkers are murdered by vigilantes, or have fled their homes and countries. They experience numerous abuses, including violence, coercion and shunning in their families, exorcism, psychiatric ‘treatment’, forced marriage and sexual abuse. At the International Conference on Freedom of Conscience and Expression, we note that there is a tsunami of freethinking and atheism that is challenging religious fundamentalism, especially Islamism. The Internet is doing to Islam what the printing press did to Christianity. This peaceful resistance movement is often characterised as ‘offensive’ against religion, nation, tradition or culture. Labelled as ‘secular fundamentalists’ or ‘Islamophobic’, victims are told that they are the cause of the violence whilst the organised networks of fundamentalists and extremists are projected as victims. Laws against ‘defamation of religion’ and accusations of ‘offence’ and ‘Islamophobia’ aid the extremists in silencing dissent and imposing de facto blasphemy laws. Human rights organisations give scant attention to these violations. They have failed to investigate transnational networks that promote and perpetrate violence. They do not examine the ideologies of religious fundamentalism or make a case for the importance of freethinking in the face of a sustained religious assault. Governments, too, are failing to defend and protect freethinkers, either leading the assault or often choosing to side with killers and persecutors. We honour the memory of all those who have died for freedom of conscience and expression, and stand in solidarity with our friends who cannot be with us because they are in prison, in hiding or have been denied visas. The struggle for freedom of conscience is also a struggle against racism, xenophobia and far-right extremism. To be denied the simple right of conscience creates a human rights void, where all protections cease to exist. So we fight against all forms of bigotry and for universal human rights, including secularism. A declaration of principles showing that the human right to freedom of conscience is explicitly embedded in human rights documents and is not limited by any right to religious belief. For more information, contact the Conference Organising Committee. To donate to CEMB, please visit our website. The conference is sponsored by Alliance of Liberals and Democrats for Europe; Atheist International Alliance; Bread and Roses TV; Center for Inquiry; Centre for Secular Space; Council of Ex-Muslims of Britain; Culture Project; Euromind; Equal Rights Now; Fitnah; Freedom from Religion Foundation; National Secular Society; One Law for All; Richard Dawkins Foundation for Reason and Science; Southall Black Sisters; and Secularism is a Women’s Issue. Written by CEMB on December 1, 2015 . Posted in Press Releases. CEMB spokesperson Maryam Namazie spoke on “Apostasy, Blasphemy and Free Expression in the Age of ISIS” on 30 November 2015 at Goldsmiths University at the invitation of the Atheist, Secularist and Humanist Society (ASH). See Video Below. As an Islamic society, we feel extremely uncomfortable by the fact that you have invited Maryam Namazie. As you very well probably know, she is renowned for being Islamophobic, and very controversial. Just a few examples of her Islamophobic statements, she labelled the niqab- a religious symbol for Muslim women, “a flag for far-right Islamism”. Also, she went onto tweet, they are ”body bags” for women. That is just 2 examples of how mindless she is, and presents her lack of understanding and knowledge about Islam. I could go on for a while if you would like further examples. We feel having her present, will be a violation to our safe space, a policy which Goldsmiths SU adheres to strictly, and my society feels that all she will do is incite hatred and bigotry, at a very sensitive time for Muslims in the light of a huge rise in Islamophobic attacks. For this reason, we advise you to reconsider your event tomorrow. We will otherwise, take this to the Students Union, and present our case there. I however, out of courtesy, felt it would be better to speak to you first. Despite claims of “safe spaces” and concerns about “bigotry”, the Goldsmith ISOC never made any formal complaint to the Student Union, which had already approved Maryam’s talk, showing that it was an attempt at intimidating ASH organisers. After Maryam’s talk began, ISOC “brothers” started coming into the room, repeatedly banging the door, falling on the floor, heckling her, playing on their phones, shouting out, and creating a climate of intimidation in order to try and prevent her from speaking. She continued speaking as loudly as she could. They repeatedly walked back and forth in front of her. In the midst of her talk, one of the ISOC Islamists switched off her PowerPoint and left. The University security had to intervene and remain in the room as she continued her talk. Eventually the thug who had switched off her PowerPoint returned and continued his harassments. At this point, Maryam stood her ground, screamed loudly and continued insisting that he be removed even when the security said he should stay because he was a student. When he was finally escorted out of the meeting, discussions on many issues from apostasy, the veil to Islamism and Sharia laws continued, including with some of the ISOC “sisters” who remained behind. In the Q&A, a women’s rights campaigner who had been kidnapped by Islamists in Libya and held for three days said that the attempts at intimidation reminded her of those dreaded days. Another CEMB activist said one of the ISOC thugs disrupting the meeting threatened him by pointing a finger to his head. The behaviour of the ISOC “brothers” was so appalling that a number of Muslim women felt the need to apologise, to which I explained that no apology was needed from those who were not to blame. The ISOC’s use of rights language are clearly a cover to silence any critic and opponent of Islam and Islamism and to normalise the far-Right Islamist narrative under the guise of Islamophobia and offence. Nonetheless, the Islamists at ISOC will need to learn that apostates, and particularly women, have a right to speak and that we will not be intimidated or back down. Freedom of expression and the right to criticise and leave Islam without fear and intimidation is a basic human right. We have a responsibility to fight for these universal values at British universities and also across the globe.